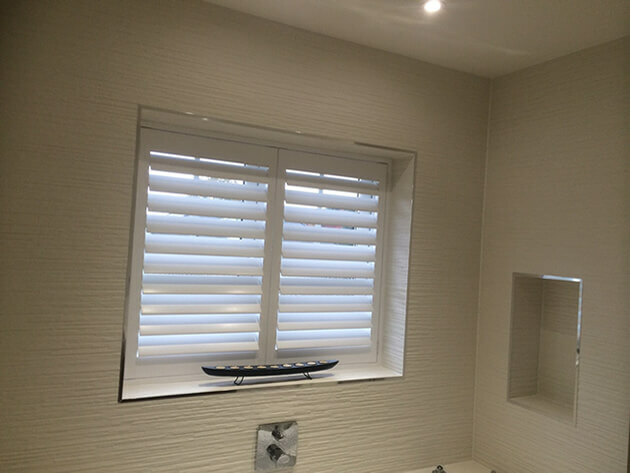 We were recently asked to visit a customer in Forest hill in South London to help design and install some shutters to a bathroom. The bathroom comprised of a single window above the sink which needed to not only allow for light, but offer privacy for those using the room. 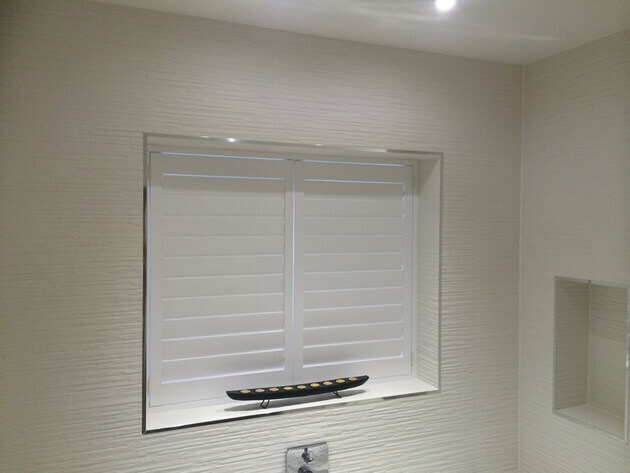 The bathroom had recently been decorated and our shutters were picked as the finishing touch! 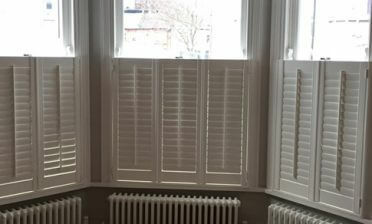 We fitted shutters created from our Cuba Range using 89mm louvres and a hidden tilt rod system which allows for the operation of the shutters with no need for a visible tilt rod. This helps to create a cleaner, more contemporary look in keeping with the new bathroom decor. 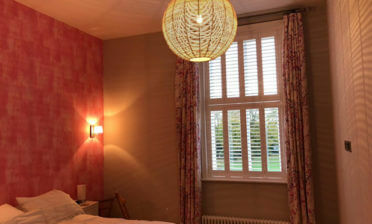 The shutters were finished in Pure White paint and matching hinges. 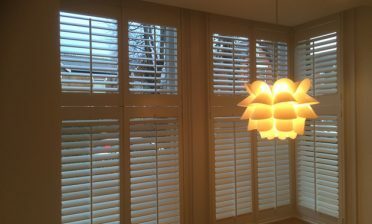 Our precision design and installation made sure that these shutters were the perfect made to measure fit in the window recess.